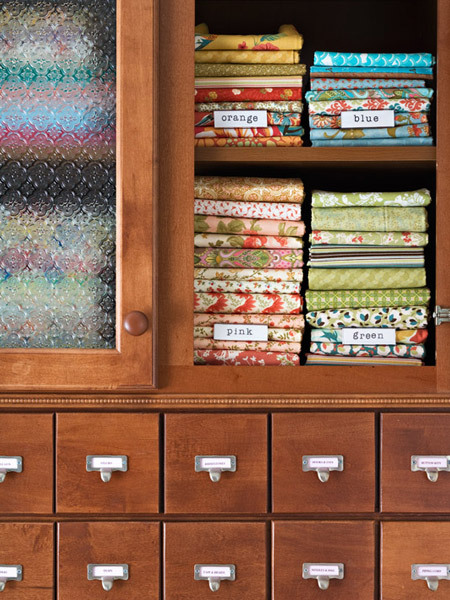 A dedicated craft or sewing room is a wonderful space to own, but it is a room that you need to keep organised. 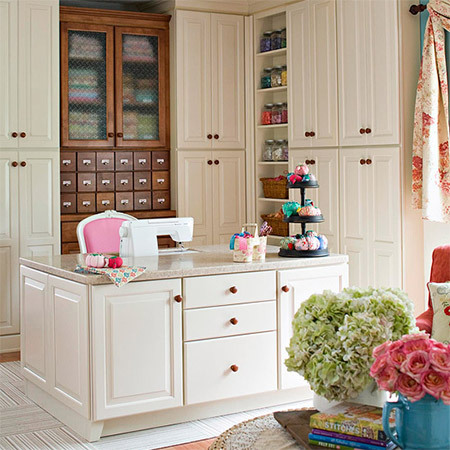 See how Margaret Sindelar gave her sewing room a much-needed makeover. I was inspired to share this feature that I came across on Better Homes and Gardens, not just because of the beautiful photo layout, but also how the way a spare room was transformed into an organised sewing room - with just a little creativity and effort. Makes me want to go and pretty up my DIY workshop! 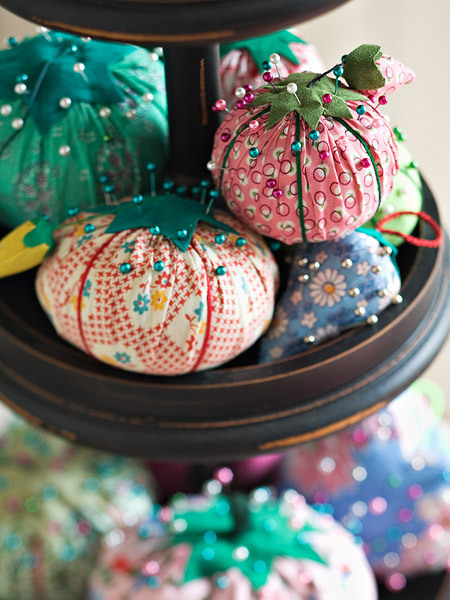 Margaret has a collection of colourful patterned pincushions that are displayed on a painted pedestal on her main work desk. This sewing room is conveniently located at one end of a family room, which is a large open space. While there is plenty of available storage already available, as anyone who does crafts or sewing knows, things do tend to become a bit cluttered when you're rushing around to find what you need and up to your eyeballs with things that need to be done. It's the little details that make all the difference in this sewing room, whether they are there to add personality, or to provide much needed storage and organisation. For example, the cherry sideboard above also double as an extra workspace with its slide-out top. 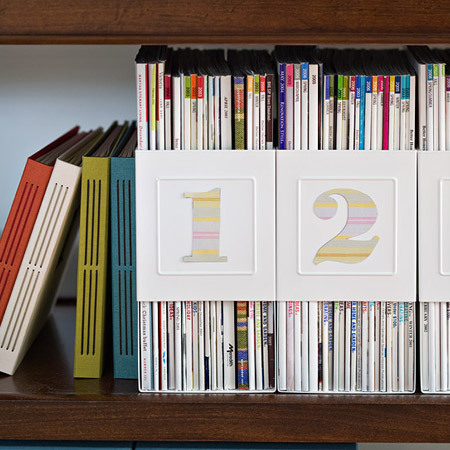 When not in use it provides plenty of essential storage space. Margaret even organises all her sewing and craft magazines, so that she can easily find what she is looking for. Metal storage bins have attractive paper labels that were printed out and cut. 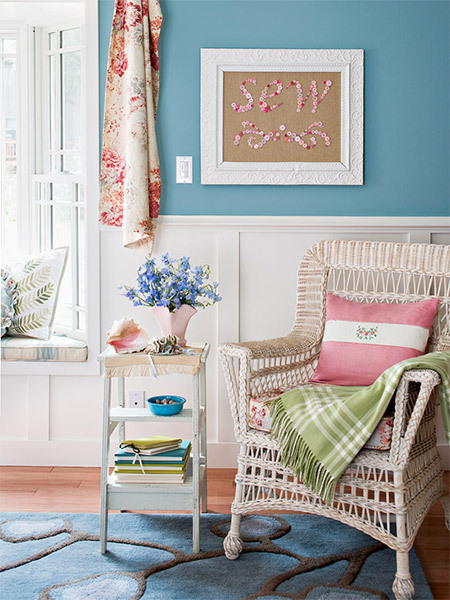 On one side of the sewing room is a small, comfortable settee where friends can gather to catch up on what's new. Layered quilts and handmade cushion covers add a personal touch to the setting. The gallery above the settee gives the arrangement balance and creates an interesting focal point. 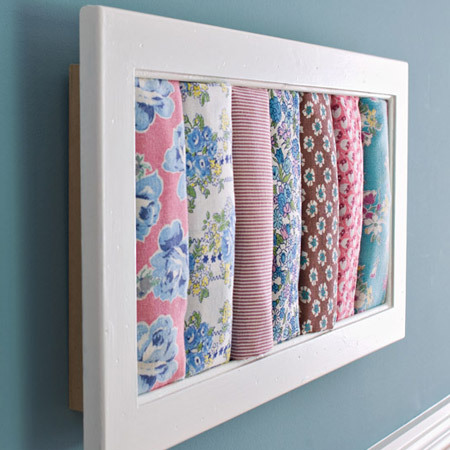 Rolled remnants of colourful, printed fabric mounted in a shadowbox frame add to the sewing theme that you will find throughout the room. 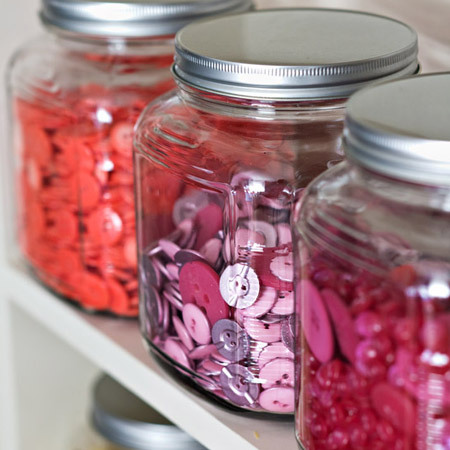 Buttons in all shapes and sizes, and in a kaleidoscope of colours, fill jars to add interest and colours to open shelves. The key to an organised work space is to ensure there is plenty of storage. Margaret incorporated plenty of built-in storage to ensure there is a place for everything. The cupboards house all her craft implements and tools and equipment she needs, as well as shelves and drawers for smaller items and bolts of fabric. When Margaret needs to take a time out from sewing, there's a relaxing place to sit and compose her thoughts before tackling her next sewing project. It's all in the details... and the pretty artwork on the wall is an example of how something so simple can add so much personality to a room. 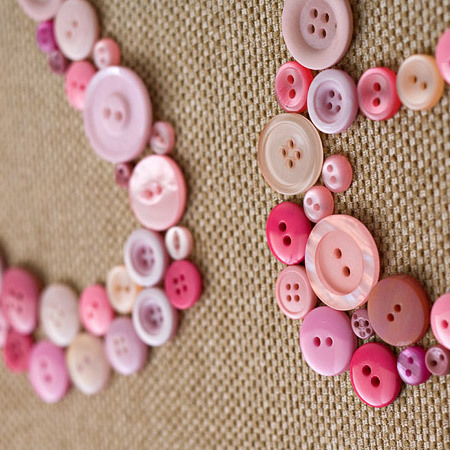 Colourful buttons in pink hues spell out the word 'sew'. Margaret's handiwork fills the sewing room with personality. 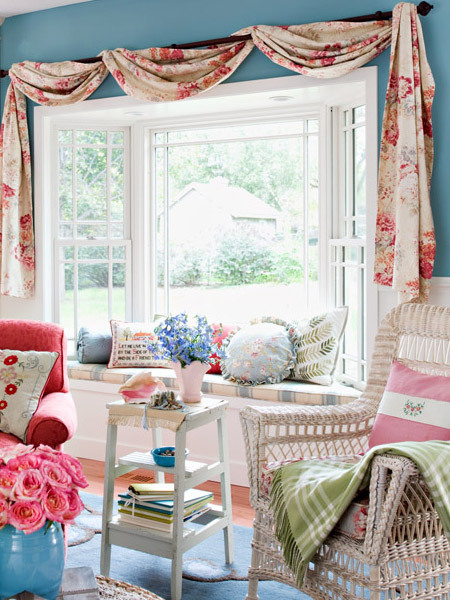 The bay window is draped with fabric, more as a personal touch than for privacy, and in such as way as to allow plenty of natural light into the work space.